“For almost a full calendar year, Laserfiche stood toe-to-toe against SAP America, Inc., SAP AG and SAP Global Marketing, to protect our Run Smarter® trademark from reverse confusion in the market. The federally registered trademark has been the centerpiece of Laserfiche marketing campaigns since 2004 and is a valuable asset of Laserfiche. In October 2010, SAP worked with Ogilvy and Mather to launch a new branding campaign centered on the phrase “Run Better.” Various “Run” phrases – “Run Vroomier,” “Run Brainier,” “Run Yummier” – showed how companies run better with SAP. The issue was that one of the prominent phrases used in these ads was “Run Smarter.” As soon as we became aware of their improper use of our trademark, we contacted SAP to ask that they stop using our trademark Run Smarter® to avoid confusion in the market. Our attempts to reach SAP and demand that they stop using our trademark were left unanswered and unaddressed. SAP filled TV, print and online channels with ads. Run Smarter®, the trademark that has been at the core of our marketing strategy for over six years, was being swallowed up through SAP’s market saturation, creating a likelihood of reverse confusion that Run Smarter® somehow belonged to SAP. What made the unlicensed use of Laserfiche’s Run Smarter® trademark even more damaging to Laserfiche is the overlap in our businesses. 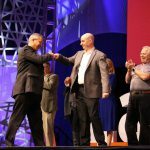 At the core of Laserfiche’s products and services is our Run Smarter® philosophy that helps us create simple and elegant enterprise content management (ECM) solutions used by more than 30,000 organizations worldwide—including federal, state and local government agencies and Fortune 1000 companies. SAP specializes in enterprise software, which includes its enterprise content management (ECM) solutions. This overlap made the possible confusion created by SAP’s use of “Run Smarter” even more damaging to marketing efforts that we had been investing in for over six years. Laserfiche could not sit idly by as the Run Smarter® trademark that we had worked so hard to build—the trademark that communicates our brand’s unique value—was pulled out from underneath us by pure market saturation from SAP. So we were forced to take the complaint to court. Since 1987, Laserfiche has used its Run Smarter® philosophy to create simple and elegant enterprise content management (ECM) solutions. 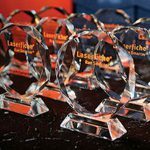 More than 30,000 organizations worldwide use Laserfiche® software to streamline document, records and business process management.